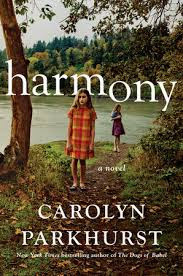 I was really intrigued by the premise of this book about a family that starts a camp with some other families. These families all have something in common...they have children on the spectrum. And while this camp premise was certainly a part of it, this book is much more about parenting a child that is a bit different from the norm and the way we as a society evolve in our understanding through time. It's also about the impact on a neurotypical child as part of the book is told in the voice of Iris, Tilly's sister. Tilly is the child "on the spectrum" she has a diagnosis not quite able to be defined. Her parents, of course, love her but have come to the end of their rope in what they can do. She is continually kicked out of schools and homeschooling alone is too daunting a task. So when Scott Bean raises the idea of the camp...a camp run by a collective of families with children with certain needs for other families of the same, they throw in their lot and join. This idea of a camp or stories about communes and cults have always held a special pull for me. There's something so deeply appealing about the idea of committing to sharing your life with other people, to love each other and work towards a common goal. It's a little bit of what I have always found beautiful and comforting about church. It's never easy, it is in fact, quite difficult. Those struggles are shown in Harmony as the families commit to living a more basic life and each take on a lot of work. And the impact on Iris is keenly felt as this becomes her environment and her social life and world. And that was interesting, too, and a very interesting way to portray how this world became their life even a sense of impending doom also unfolds. I will say the ending wasn't as horrible as I feared it was going to be, but I was personally pleased by that. The story is told in second person POV for the mother and first POV for Iris in alternating chapters. Both characters are quite likable. I listened to the audiobook which was read by the wonderful Cassandra Campbell as Alexandra (the mother) and Abigail Revasch and Jorgeana Marie. Great production.